Hardcopies from each of the three original trilogy films are highly coveted by pre-production collectors. 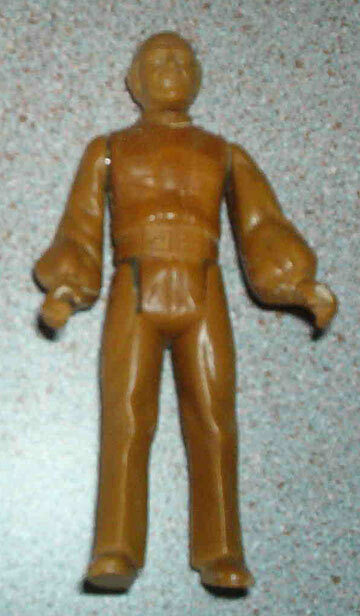 ESB hardcopies surface quite infrequently on the market, making this unpainted Lobot hardcopy a true rarity. Hardcopies, by nature of their construction, are able to be disassembled as illustrated in the above photo. Each seperate piece is initially crafted using a silicone mold derived from the original sculpting. A brown urethane, called carbalon, was used to create this hardcopy. Carbalon represents the most frequently seen material for Empire Strikes Back hardcopies, however dynacast was employed to some extent during this time period, though clearly not with the frequency seen on Return of the Jedi hardcopies, which are almost exclusively found in dynacast. 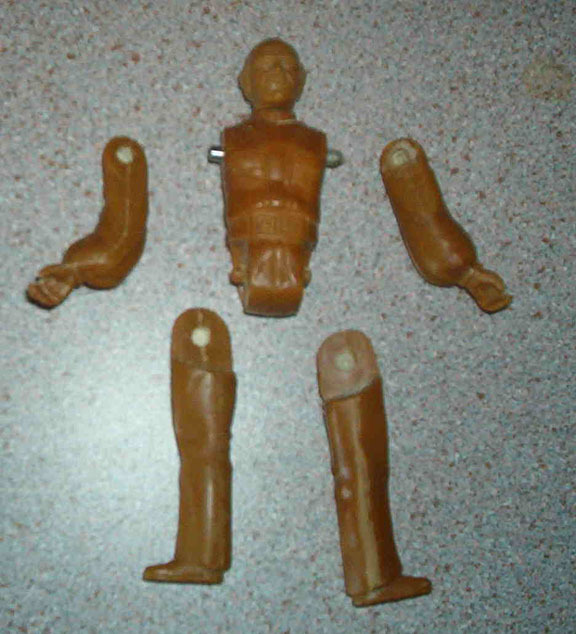 A second, less complete Lobot hardcopy may also be viewed on the Archive here. It's nice to see that two unpainted examples of Lobot have stood the test of time and can be enjoyed by two different collectors.